Browse: Home » Quickfire Interview with Camp NYE’s Jayde Adams + WIN a Pair of Tickets! Quickfire Interview with Camp NYE’s Jayde Adams + WIN a Pair of Tickets! Scottee and his gang of weirdos are back for another crazy New Years Eve – featuring Jayde Adams, Fancy Chance, Ginger Johnson, Thom Shaw, Scottee himself, Japans People and Le Gateau Chocolat! 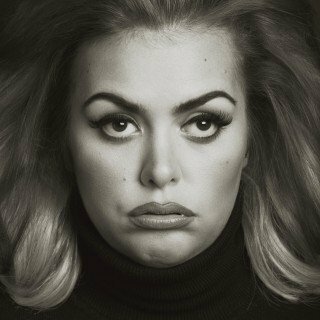 Performer, comedian and notable Bristolian, Jayde Adams is a certified funny person who you might recognise from the telly, cabaret circuit or your local Asda. I don’t think it matters. Call me whatever you want. I’ll still be funny. Dinner Ladies or Acorn Antiques? Dinner Ladies. I was one. When I was at school I preferred hanging out with middle-aged women in tabards rather than kids my own age. Bristol now. London in the 60’s. Not that I ever experienced it but I like the sound of the mods and all that stuff – shame it’s become mostly about money and media-based jobs. Although E. Pellicci’s on Bethnal Green Road has been exactly the same since 1900’s. I like that. Stage. The buzz from the audience is addictive. When I have my first sitcom commissioned, I’ll probably change my mind because I’m allowed to change my mind. Adele at 21 or Adele at 25? Asda. My Mum is still there and I don’t hold it against them for sacking me when I ate a prawn wonton from the deli counter. Well, I don’t know, because revolution sounds more fun but I don’t think there is anyone alive I would trust with organising that. People nowadays (probably because of social media) struggle with understanding that there are two sides to every argument. So I’ll have to go with resolution. We’ve got a pair of tickets to give away for Camp NYE at Eagle London – just sign up to our mailing list using the form on the right and we’ll pick a lucky winner after midnight on Wednesday 21st December! T&Cs: By entering the competition you are subscribing to our mailing list, from which you can unsubscribe at any time. Existing mailing list subscribers may still enter, and subscriptions will not be duplicated. Entries must be received by midnight on Wednesday 21st December. Prize is 1 pair of tickets to Camp NYE at Eagle London on 31st December 2016. If the winner does not claim their prize within 24 hours of being notified, then the prize will be forfeited and another winner will be selected. ← Review: The Beautiful Pizza Boy – Peckham’s Got ★★★★★ PIZZA!